President Abdel Fattah Al-Sisi said that the size of the Egyptian economy grew by 4% in 2016, which promises huge investment potential and opens broad prospects for cooperation between Egypt and Belarus to improve the relations of cooperation between the two countries in different fields. This came in his speech during the opening of the Egyptian-Belarusian Business Forum, in which he added that the Egyptian economy faced many challenges following the 25 January Revolution. He noted that the government is working to implement a comprehensive programme of economic reform aimed at addressing the structural and financial challenges through concrete steps to fix the purchasing system, developing the subsidy scheme, and floating the national currency. Al-Sisi added that Egypt is one of the countries that provide the highest return on investment rates across the world. Moreover, he said that the government’s measures aim to pave the path for foreign investors, highlighting the major projects implemented by the state in the current period, including the Suez Canal Economic Zone, the national roads network, and the New Administrative Capital. Meanwhile, Prime Minister Sherif Ismail met with the president of Belarus, Alexander Lukashenko, as part of the latter’s visit to Egypt. During the meeting, they discussed the bilateral relations between both countries, the main features of the economic reform programme, including the agreement between Egypt and the International Monetary Fund (IMF) for a $12bn loan, and the government’s actions to improve investment climate, including the unified investment law that is set to be passed soon. Ismail noted that Egypt is aiming to achieve economic growth rates of up to 7%. According to the prime minister, there are many ways for potential cooperation with the Belarusian side in a number of fields, including the furniture industry, low-cost wastewater treatment, and promoting Egyptian capabilities in water treatment and advanced irrigation techniques, as well as underground water, drinking water security, developing crops, industry and packaging, and joint manufacturing of agricultural tractors trucks, vehicles, and trams. 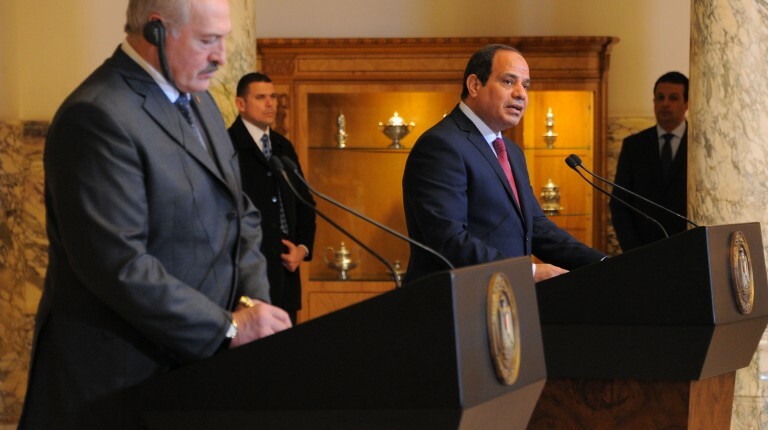 Lukashenko said that his country aims to increase cooperation with Egypt. He added that Egypt is a major partner to Belarus, noting that his country has many industries and expertise that Egypt can benefit from.